For over 150 years, the Florida Historical Society's mission has been to collect, preserve and publish materials relating to the rich and diverse history of our state. The research library was officially begun in 1905 and consisted of only a few library resources. One of the first items donated to the FHS research library was a first edition of La Florida del Inca, owned by none other than Florida East Coast Railway magnate Henry M. Flagler! Over the years the Society has ammassed a sizeable collection of rare and out of print books, maps dating back to the 1500s, and tens of thousands of photographs and postcards from around the state. Our normal operating house are Tuesday - Saturday from 10:00am to 4:30pm. 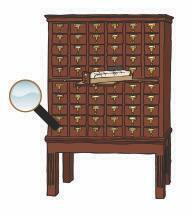 We ask that patrons first inquire about a research appointment however, before visitng the library. The first library collection was housed in the Cordova Hotel in St. Augustine, before moving to Jacksonville, Gainesville and Tampa over the courese of the next few decades. In 1997, the Library of Florida History was established in Historic Cocoa Village in Brevard County, where we still reside today. Our library is housed withing a historic post office, originally constructed in 1939 by the WPA. We offer patrons the opportunity to conduct in-house research during normal business hours. No research fee or membership is required to conduct research at our facility, however, due to the rarity of many of the materials in the collection, and the volume of research requests received, we request that patrons first schedule an appointment with the archivist ahead of a visit so that we can pull the material for you. 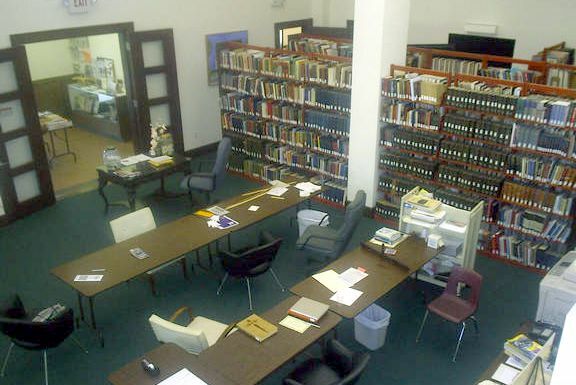 The scope of the collections housed at the FHS Library consist of any type of documentary materials relating to Florida's history and pre-history. We have over 8,000 bound library volumes in our general collection. The Library also has a collection of rare books including original territorial-period government publications, first edition, or limited printed fiction and non-fiction titles, as well as early Spanish period narrative histories of Florida. The archival colleciton consists of over 10,000 print photographs organized by subject and by county. The Ada E. Parrish Postcard Collection is comprised of over 15,000 postcards organized geographically. We house over 1,000 early Florida maps, including a collection of 19th century plat maps, early colonial period (1500-1800) maps, county soil surveys, and many other types. The Library also has a collection of historic newspapers including the Jacksonville Times Union from 1917-1918, as well as sporadic other papers from various state and local newspapers covering the mid-19th century to the late-20th century. The collection reflects the types of materials which are donated to the Society. We do not actively collect, nor do we house any historic obituaries, census enumerations, or other systematic records. To find historic obituries you will need to consult regional historical societies, or individual local newspaper archives. Birth and death records can be obtained through the Florida Department of Health, Bureua of Vital Statistics. Original copies of the Florida State Genealogical Society's Pioneer Descendant certificate program aplications are housed at the FHS Library. They can be accessed by appointment. Most materials housed at the Florida Historical Society Library can be searched via our online catalog. However, for detailed inquries regarding the collection, please contact the archivist. You can use our online catalog to search our collections. In order to best serve our patrons, research at the library is by appointment only. Be sure to include details of your area of research, and when you would like to come in. Appointments will be confirmed via return email.